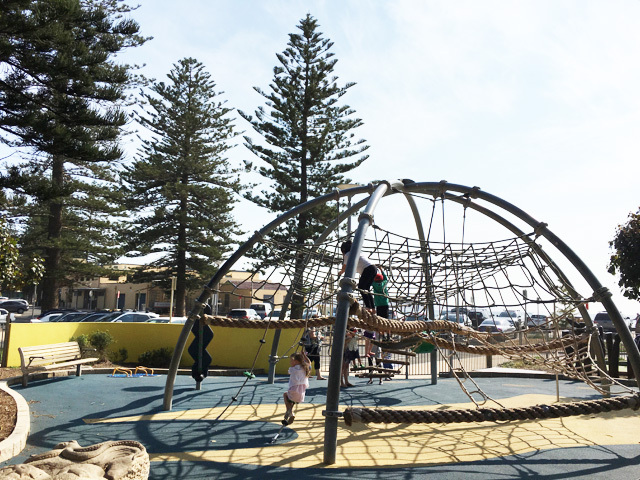 The Collaroy Beach playground is a true favourite for Northern Beaches families. Its location is perfect as it is close to the beach, rock pools and cafés so head there early to secure a park. We love this playground as it covers all ages, children can hop on the shark/dolphin bouncer, go on a swing, go down several slides, venture around the playground, go on merry go round (which was being repaired on our visit), climb on the large structure, do some water play in summer and more. It has bouncy floors near the slides and a little bridge that little Mister loved to walk across. The main areas are shaded except for the one close to the beach however the little grocery shop under the main blue slide is nice and shaded. We spent most of our time in that section. Bigger kids will love the large climbing structure which has all sorts of options and little ones will love the beach themed sculptures and little water play spot (in summer when it’s turned on). 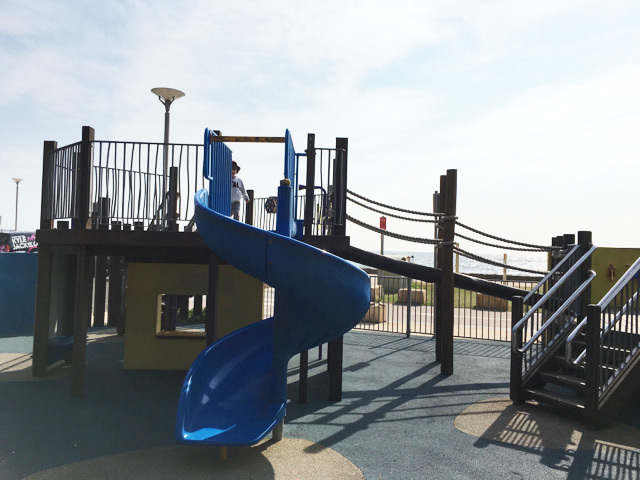 We love that this popular playground is so close to the beach, rock pools and some great cafés, all thumbs up, get ready for a great day out. 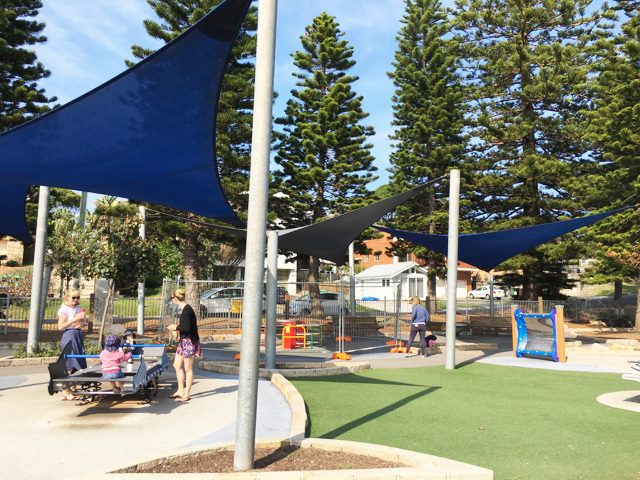 The Collaroy Beach Playground is located off Pittwater Road in Collaroy.